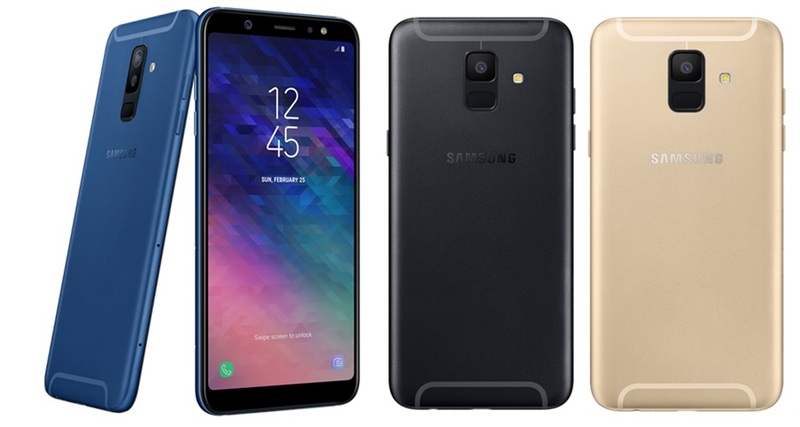 Home Galaxy A6 Galaxy A6+ samsung SamsungPhone Get the SAMSUNG Galaxy A6 & A6+ in PH stores now! The sleek and stylish SAMSUNG Galaxy A6 and A6+ hit stores nationwide today! Designed to stand out, the Galaxy A6 & A6+ feature an elegant, full-metal unibody case and the all-new blue color. This smartphone is also available in black and gold variants. Completing its sophisticated look is Samsung’s outstanding Super AMOLED Infinity Display, delivering brilliant colors and captivating content under any lighting condition. Capture stunning photos with Samsung’s newest smartphones. The Galaxy A6 carries a 16MP resolution front and rear camera, while the Galaxy A6+ sports a 24MP front camera and a 16MP + 5MP Professional Dual Camera. Equipped with adjustable LED and selfie flash, the front cameras let you take gorgeous selfies that make you look good every day. These smartphones can also produce clear photos even in low light with its F1.7 rear camera aperture capability. The Galaxy A6 & A6+ also support Bixby, the tech giant’s intelligent virtual assistant, to help you get more things done with your phone and applications. The phones also give you access to Samsung-exclusive benefits, such as exciting treats and perks via the Samsung Members App, anti-theft app through Find My Mobile, and quick emergency access with the Samsung 321 app. The Samsung Galaxy A6 & A6+ are now officially available in the Philippines starting today with a suggested retail price of PHP 16,490 (A6) and PHP 22,990 (A6+). The Galaxy A6 comes in black and gold, while the Galaxy A6+ comes in black and blue color options. For more information, log on to samsung.com.ph/ , visit facebook.com/samsungph or visit the Samsung Galaxy Studio located at Bonifacio Global City, Taguig.